10% to 20% of French adults have sensitive or painful gum inflammation. To better protect your gums properly Sanogyl designed the Care gums. Its soothes protects as our pro-vitamin complex soothes and strengthens sensitive. 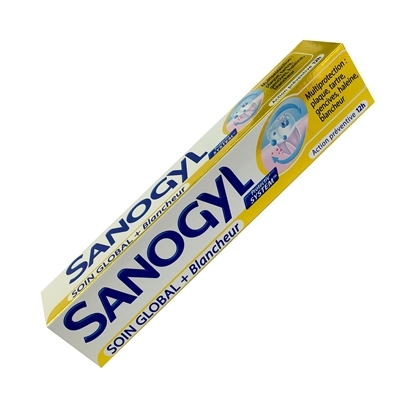 gums The perfection os Sanogyl since 1923 Sanogyl has built its expertise in the care of gums and teeth. Research Laboratory Sanogyl helped develop the Protectiv’s SYSTEM, a unique complex combining antibacterial agents, a soothing agent and Fluor for complete protection of the gums and teeth. 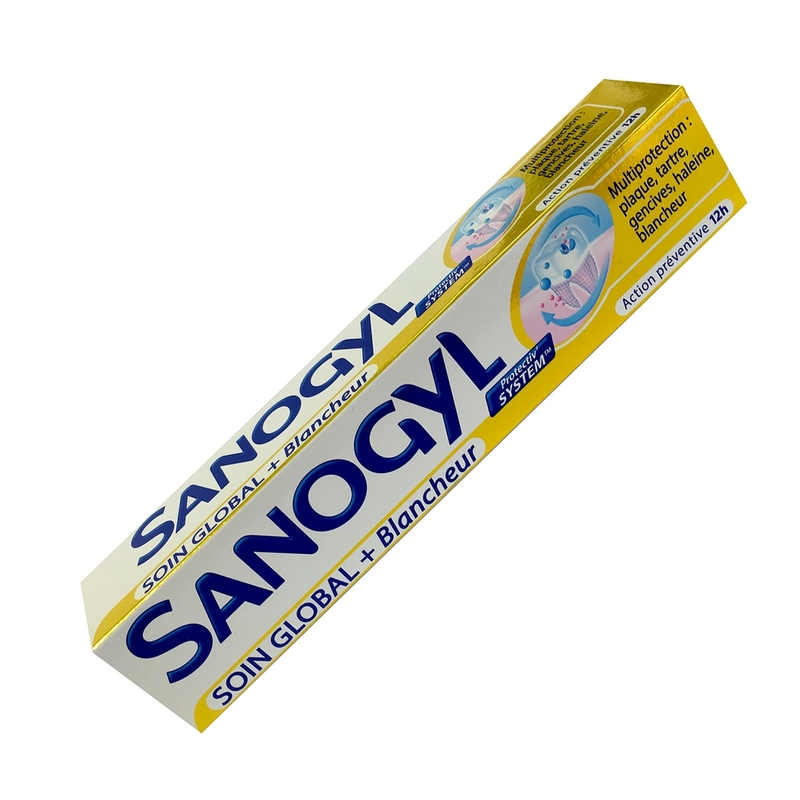 Besides this protection, each toothpaste range Sanogyl offers a specific treatment for your needs. Adult: As 0.2% or 0.05% rinsing solutions: Rinse 10 mL once daily or wkly, preferably at bedtime after brushing the teeth. Rinse solution around and between teeth for 1 minute and spit after rinsing. As gel containing 1.1% sodium fluoride: Apply a thin layer of the gel to the teeth daily (preferably at bedtime after brushing the teeth) using a toothbrush or mouth tray for at least 1 minute and spit after application. For max benefit, do not eat, drink or rinse their mouth for at least 30 minutes after using the rinsing solution or dental gel. Child: ≥6 yr: As 0.2% or 0.05% rinsing solutions: Rinse 10 mL once daily or wkly, preferably at bedtime after brushing the teeth. Rinse solution around and between teeth for 1 minute and spit after rinsing. As gel containing 1.1% sodium fluoride: Apply a thin layer of the gel to the teeth daily (preferably at bedtime after brushing the teeth) using a toothbrush or mouth tray for at least 1 minute and spit after application. Rinse the mouth thoroughly after spitting the gel. Indications: Prophylaxis of dental caries. You actually feel it deep cleaning your teeth ad gums. I'm a smoker for 20+ years and this toothpaste made made my teeth look sparkling. good job!